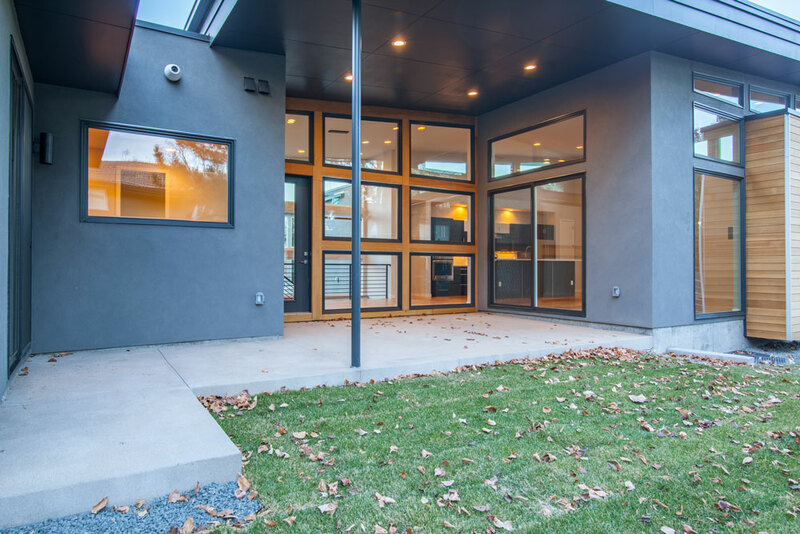 On May 20th, the Modern Architecture + Design Society opens the doors to the 2017 Denver Modern Home Tour. 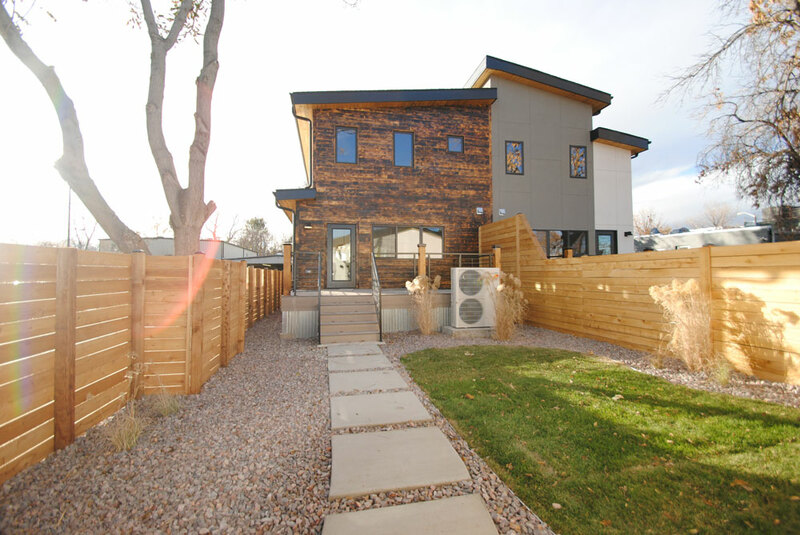 This is your chance to tour the properties, meet the architects, and talk to the homeowners of some of Denver’s most forward-looking home designs! Purchase tickets at the door for $40 each. Enjoy the day supporting local Denver architecture + design! 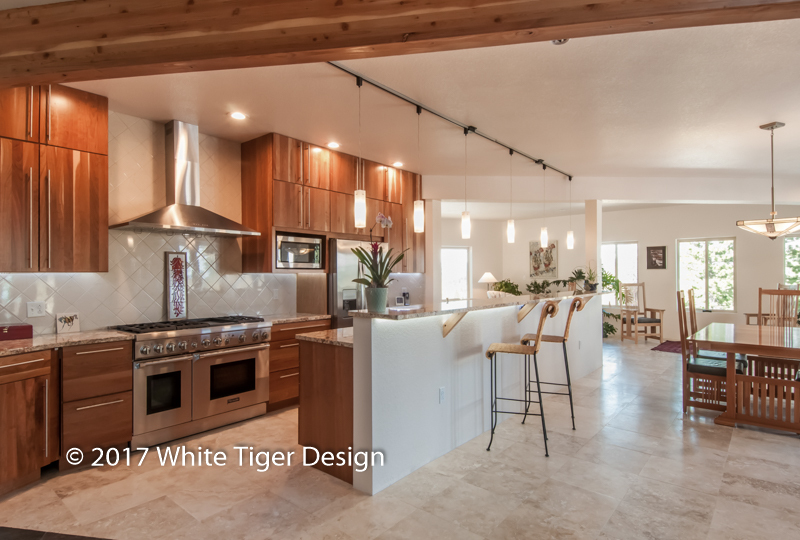 Presented by Arch 11 Inc.
24 Wilder Lane is a new, mid-century modern inspired ranch home within the modernist community of Wilder Lane in Columbine Valley. This innovative development will feature 24 individually unique homes that bring back the tradition of true mid-century modern style with 21st century design and construction, including the hallmarks of clean architectural lines, walls of glass, open floor plan, and indoor-outdoor living. 1 Wilder Lane is a mid century modern inspired new construction ranch home in Wilder Lane, an enclave of 24 unique new mid-mod ranches. 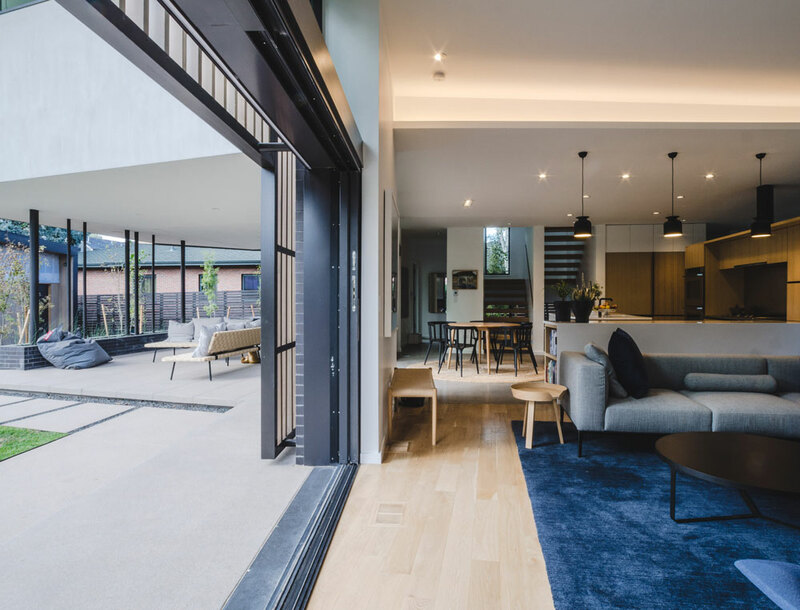 Walls of glass, clerestory windows, indoor-outdoor flow, clean simple lines and organic materials all highlight the best attributes of this architectural style. 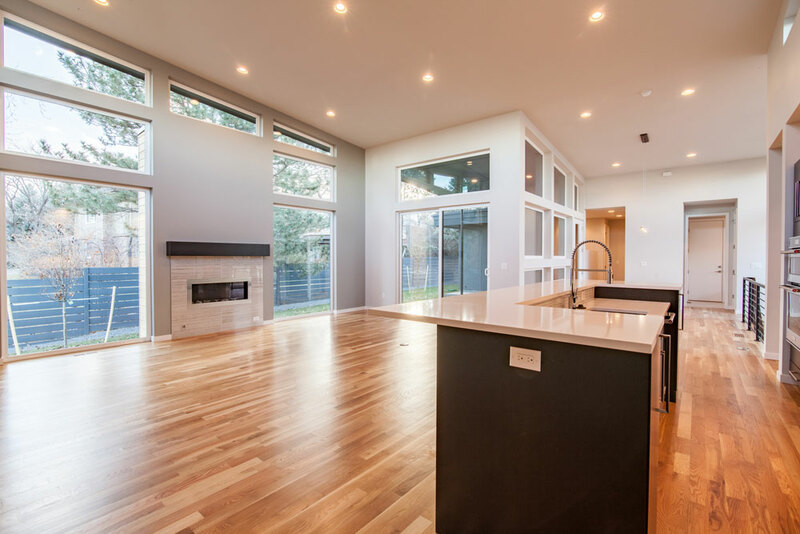 As modern architectural elements fuse with a welcoming open floor plan, this contemporary home combines eye-catching aesthetics with livability. Principal and builder Bryan Bozeman of Stone Cloud Design Build, a boutique real estate and architectural design-build firm in Denver, incorporated his company’s signature mix of brick, metal, and wood soffit to create a truly unique structure with jutting overhangs and windows spanning the periphery. 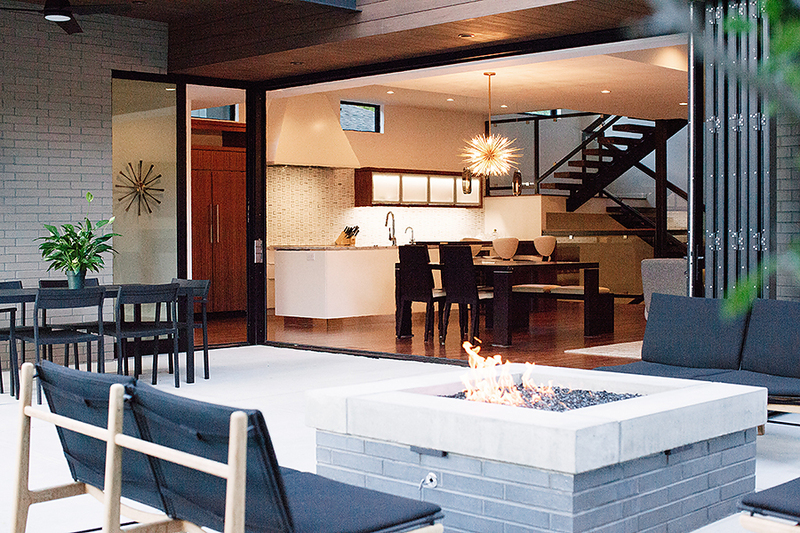 The move from the indoor to outdoor living space is seamless and provides an ideal atmosphere for entertaining or relaxing. 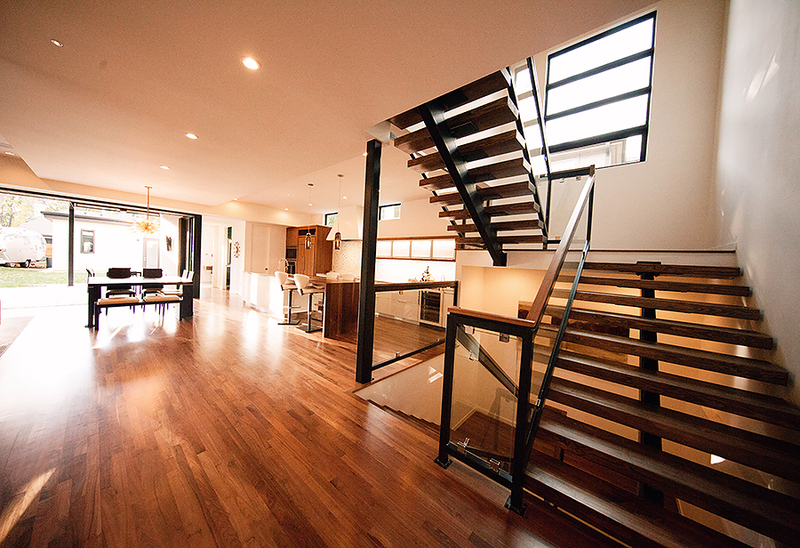 Interior highlights include the center single-stringer staircase and subtly retro-style high tech lighting system. 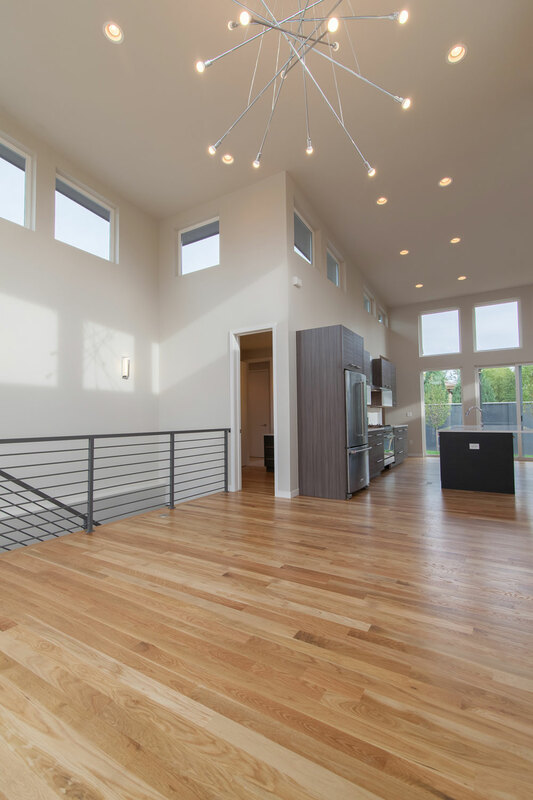 Overall, the dwelling truly exemplifies innovative design concepts coupled with the everyday functionality ideal for a dynamic Denver family. Located near Denver’s Observatory Park, this modern residence blurs the boundary between home and landscape. Floor-to-ceiling glass doors allow the family to seamlessly pass from the indoor main floor to the backyard gardens and pool area. 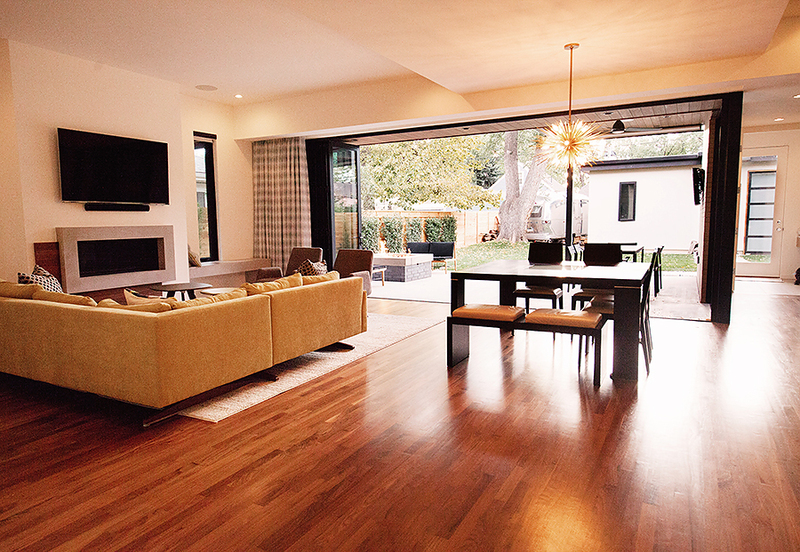 To prevent overheating, a cedar screen filters afternoon light in the living space. The house is clad in a natural, muted palette of warm wood, brick, and stucco allowing the changing light of day to shape each space. 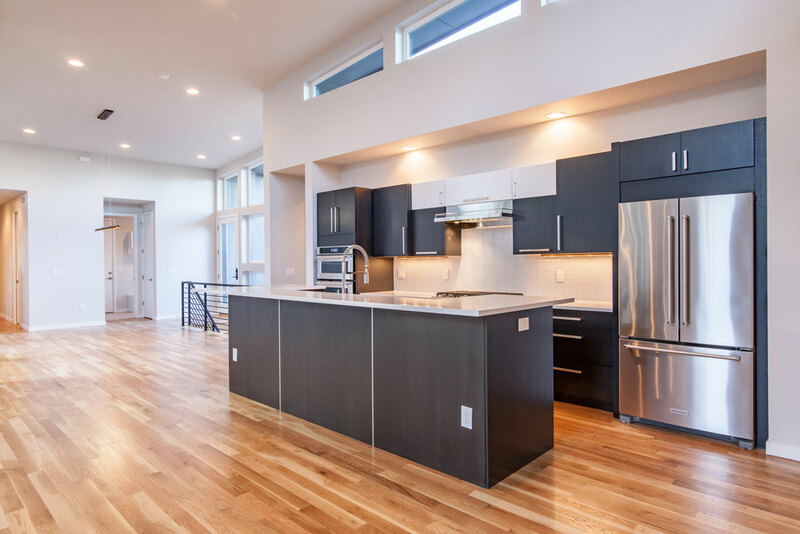 Each unit of the Jason St Duplex is designed and built utilizing cutting edge building technology standards to achieve high levels of building performance in energy consumption, conservation, and efficiency. Basement walls are formed with Insulated Concrete Forms (ICFs), which provide insulation on both sides of the wall. The concrete floor is insulated with mineralwool drainboard, which retains its R value when wet and doesn’t mold, creating a much more comfortable basement vs. a ‘code-built’ basement. The walls and roofs are insulated with mineralwool batts in the cavity, and a continuous layer of mineralwool drain board on the exterior to give the entire structure a continuous layer of insulation. This mitigates the energy loss via thermal bridging typical in stick frame construction. These layers combined give the home more stable and higher R values than required by code. The entire structure is wrapped in SIGA wrap which is meticulously taped and air sealed to the entire building. This not only reduces the risk of moisture penetration, but significantly reduces air leakage, which is the largest contributing factor to energy loss and high bills in a typical code-built home. The well-insulated building envelope with minimal leaks drastically reduces the cooling and heating loads on the home’s HVAC system, which translates to low energy bills! 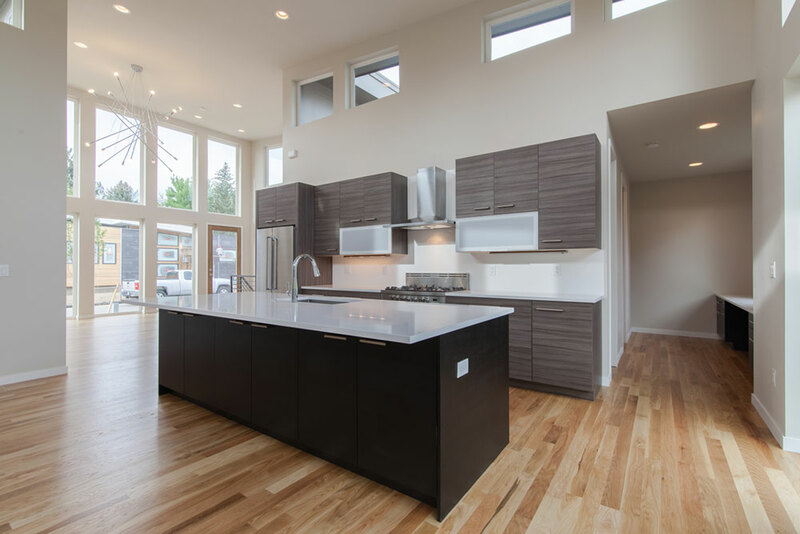 Because these homes are 100% electric, and are designed to be fitted with a simple solar system, net-zero is easily attainable. 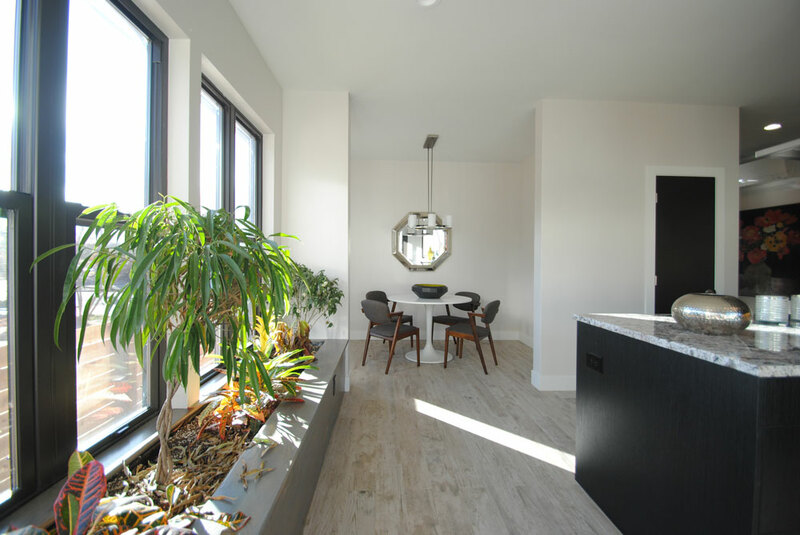 The quality building materials and practices integrated with thoughtful design create truly unique and sustainable homes. The building is clad with cementitious stucco, and locally reclaimed beetle kill pine treated in a shou-sugi-ban style. Three irregular hexagons meet to form the shape of a butterfly, hence “La Mariposa.” Sweeping 360-degree views mesmerize from all 66 windows, transparently blending the mountainous setting with the all-natural interior finishes. 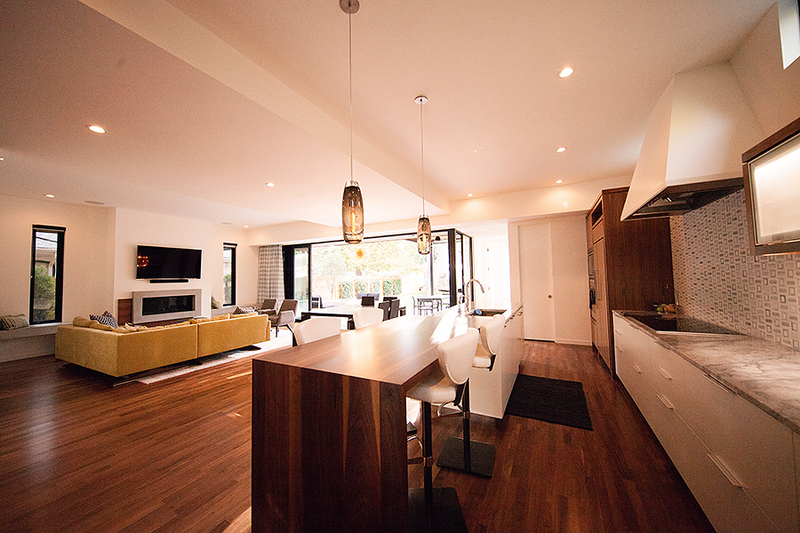 There are no rectangular spaces in La Mariposa, meaning every space has built-in “wow” factor. 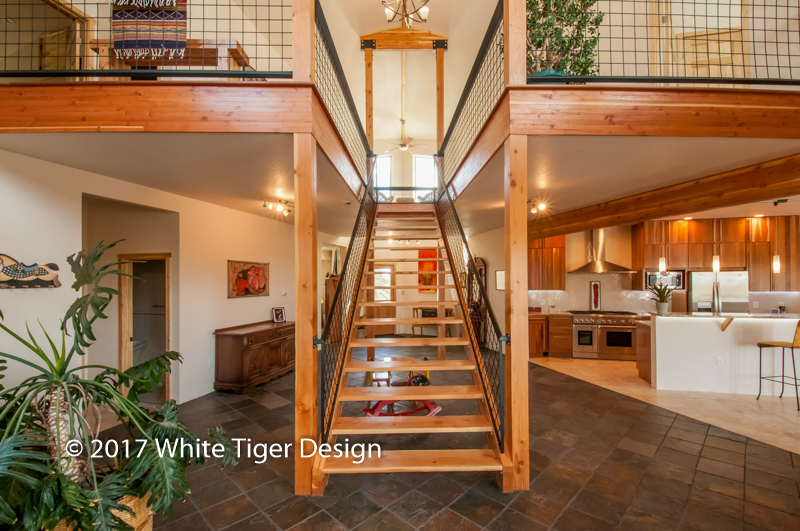 Set on 10 acres, atop a wooded 8,400 foot mountain, and with a separate guest/carriage house, this is the perfect home in Denver’s close-in mountains. So close to Denver you can see the city lights, yet snow-capped peaks stand proud to the north, west and south. Colorado’s finest ski resorts are just over 1.5 hours drive. 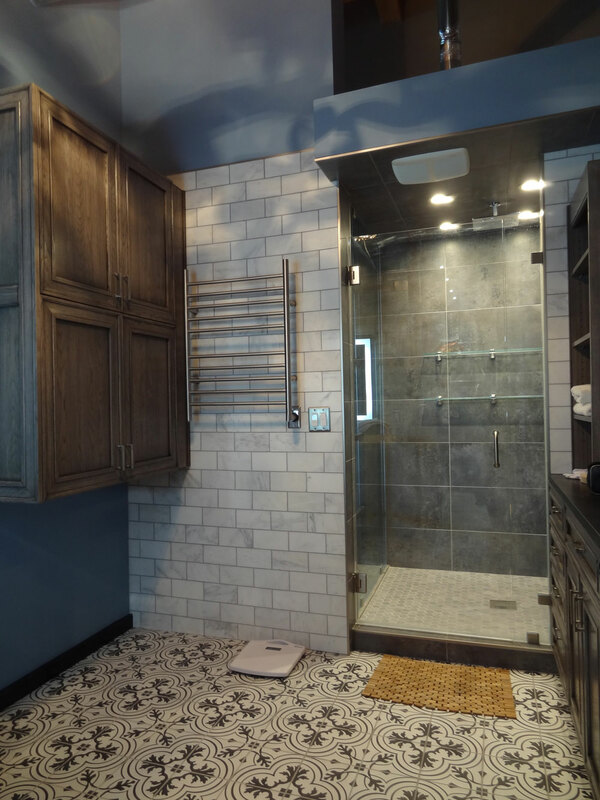 Finishes include 3,000 sf of Travertine, slate, granite and porcelain. 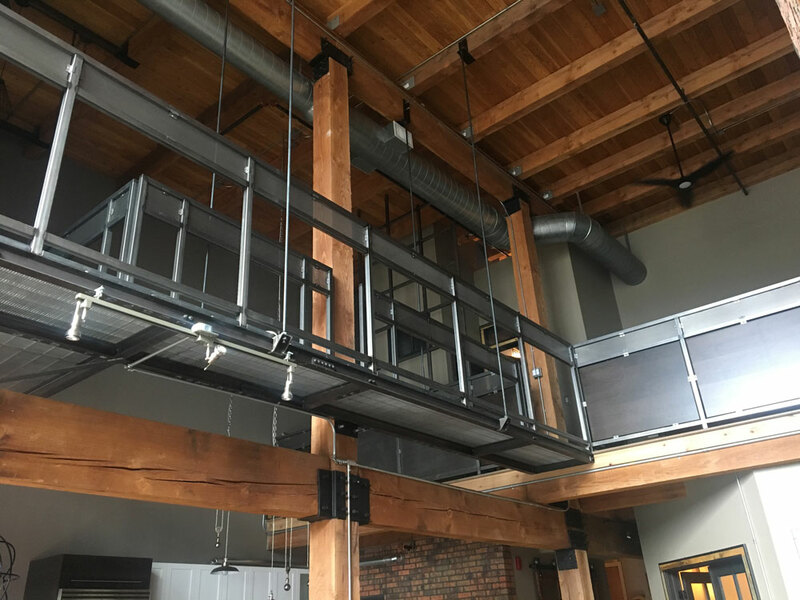 Exposed structural beams are Douglas Fir. Custom stained glass, designed by the architect, greets you at the front door and in the master suite. 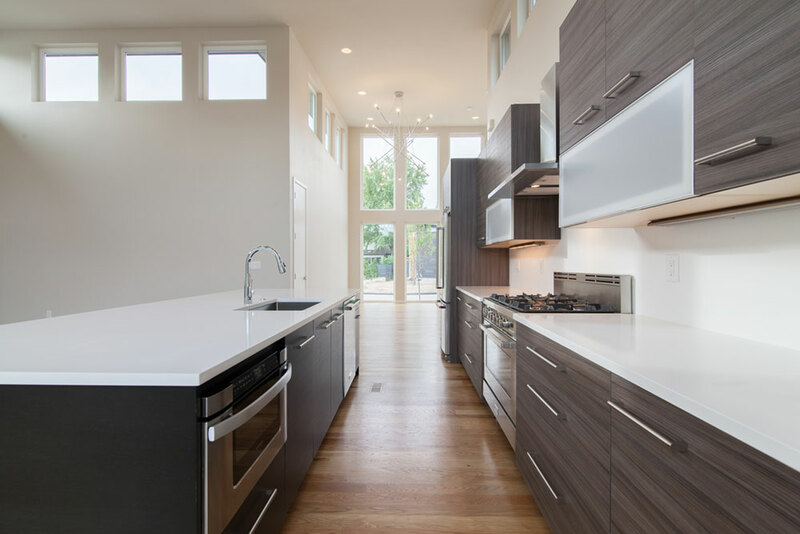 The kitchen and all bathrooms feature granite slab counter tops and custom solid cherry cabinetry. Ceilings soar to 30 feet, as the three rising ridges of the roof and interior exposed structural beams climb to the sky. Sight lines of 80+ feet make for thrilling moments of discovery. 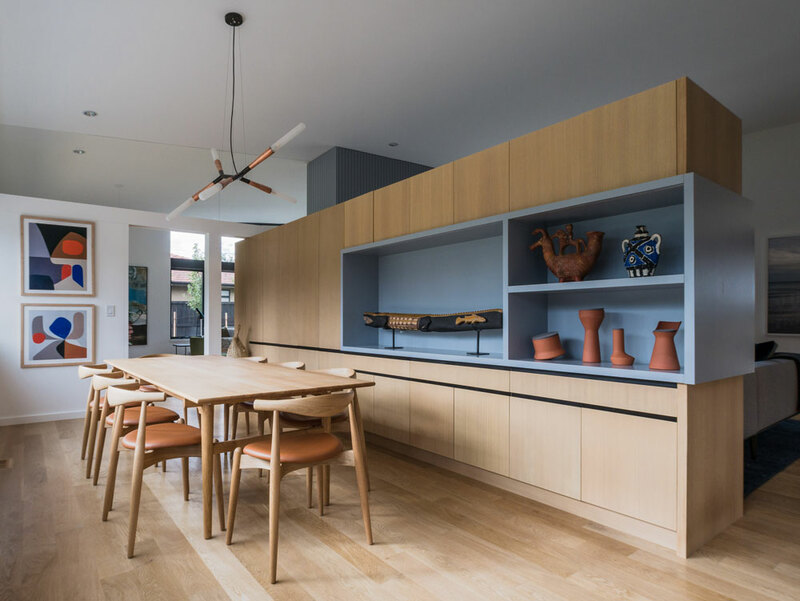 The large modern kitchen with a 48″ commercial range, and a large pantry with second refrigerator occupies a trapezoidal shape, and serves as the center piece of the house. Designed by the architect and built on site, the entry sequence and stair case dominate the center of the house. 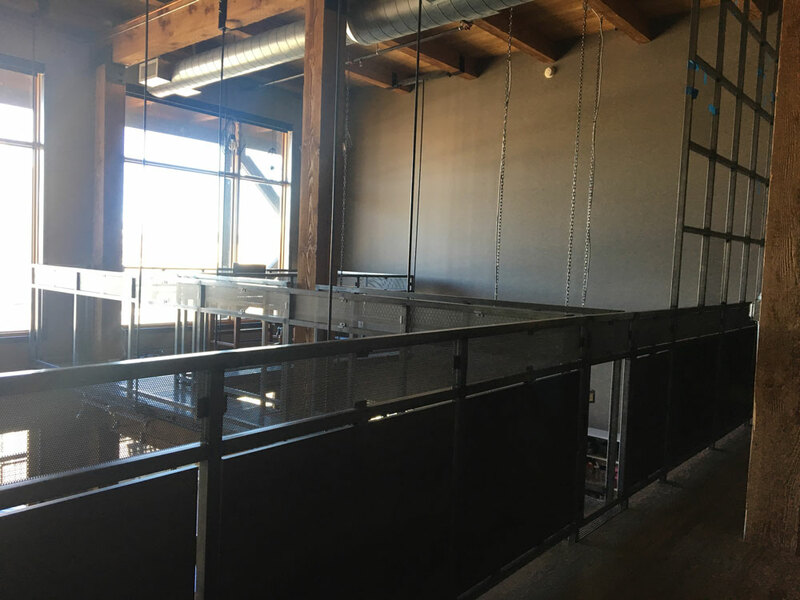 Custom welded steel grid and handrails contribute to the transparency, and the rigid, open, modern design. 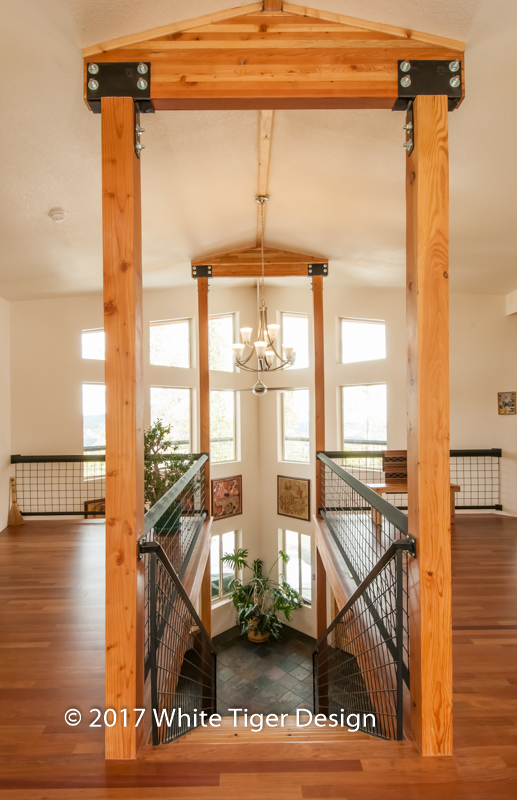 The second floor entry features Brazilian Cherry flooring, which nicely complements the native fir, American Cherry cabinets, and pine used on doors and trim. 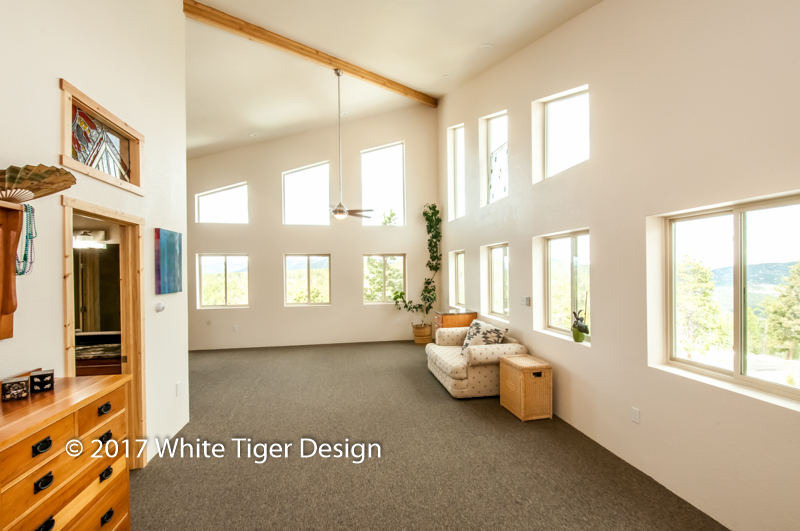 Functional design elements include staggered stud R-31 walls, PIC insulated headers, hard coat stucco exterior, in-floor hot water heat, 95% efficient boiler with DHW sidearm, R-10 insulated slab floors, PEX supply plumbing, U-0.26 windows, total LED lighting, R-46 roof insulation, passive solar supplemental heating, and thermal solar panel heated driveway section. Conduit is in place to accommodate a 100 percent off-grid PV solar conversion. Electric car charging station is in service. 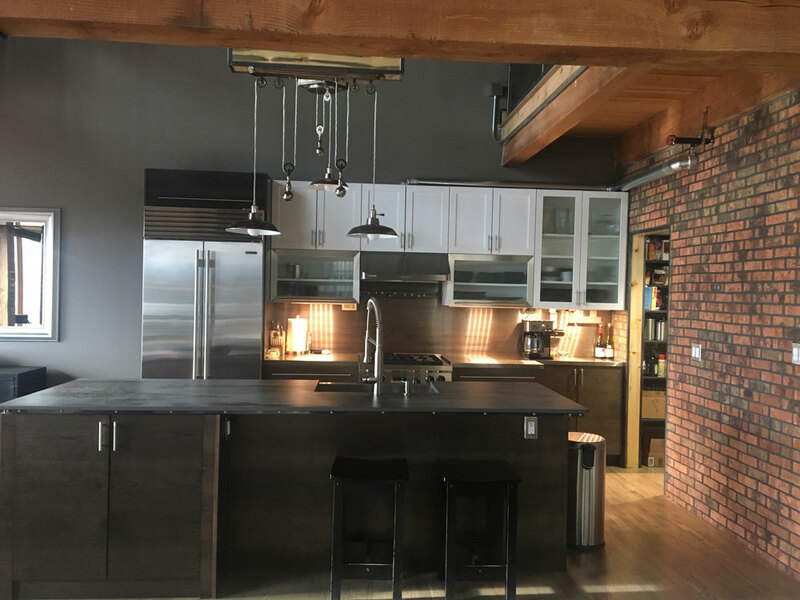 The owners of this amazing loft moved out to Denver from NY in January of last year and desired a more urban look than our new loft had when they purchased it. Last summer they began the process of coming up with a design idea to make some drastic changes, and a short time later they have just that! 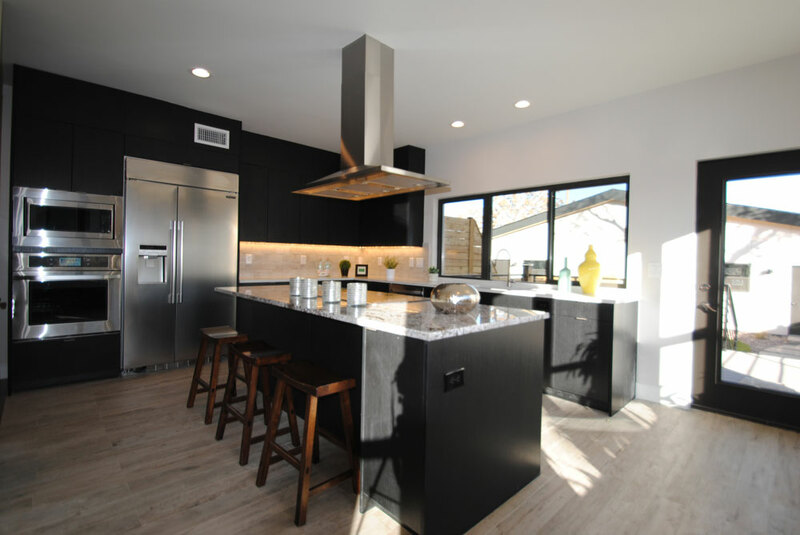 The improvements include the addition of a self-designed suspended/floating metal platform work-space and catwalk, a complete redesign and reposition of the kitchen and master bedroom closet and bath that has a glass shower enclosure with a city and mountain view. We also added a pantry, some brick faces, and changed the color of the hardwood flooring. Don’t miss the unique beetle kill pine trim flanked by metal for all the baseboard and casings and the 100% custom fabricated metal work!